At Shadowvalley we always strive for, Temperment, Soundness and Quality. (Not Quantity) We are a small home-based breeder located in Arthur, Ontario. 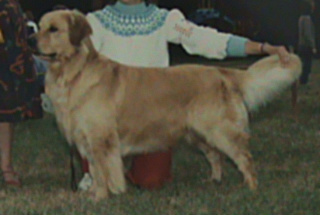 We began our Golden adventure in 1980 when we purchased our first Golden male, and haven't looked back since on all the joy of owning this wonderful breed. My breeding stock are true to type for correctness, sweetness of soul, and healthy of body and mind, as described in the breed standard. All my dogs in my breeding program are evaluated and have attained all required clearances for genetic diseases before they are bred. Clearances include: Hips and elbows cleared by Orthopedic Foundation for Animals (OFA). We screen for Subvalvlar Aortic Stenosis and other heart abnormalities by a Board Certified Cardiologist and have annual eye examinations which they must clear by a Board Certified Ophthalmologist. It is not only important to make sure that all health clearances are obtained and maintained but equally important to know and understand the pedigree and combination of both sire and dam to compliment the best Golden Retriever puppy for the future of our breed. The Future of our Golden Retriever breed along with our future puppy owners are depending on the decisions that we make today. All of our breedings are carefully researched back five full generations to be sure they will produce a healthy and "True To The Breed Standard", Golden Retriever. 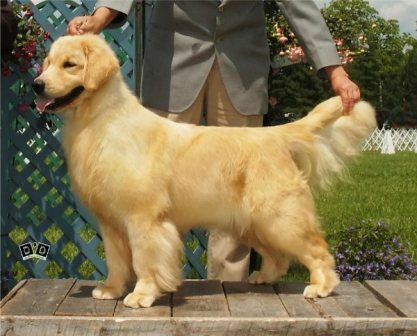 It is the primary responsibility of a breeder to thoroughly research and review all potential breedings in order to maintain the integrity of the Golden Retriever Breed. All of our dogs and pups are raised under the best possible controlled conditions. We feel our kennel speaks for itself and we encourage all of our propective clients to come visit us and meet the dogs. (By appointment only please, in order that we may plan our time. This will ensure that all visitors will receive our full and personal attention). Our Goldens are a huge part of our family. They are companions first and foremost and then obedience/show dogs. If you acquire a Golden from Shadowvalley, we like to remain an active participant in his/her life by offering any support or guidance you require. It is very important for us to maintain a relationship with all the people that have Goldens from Shadowvalley. As members of these clubs, all breedings are done according to a strict code of ethics. Long research and background information is taken into consideration for each planned breeding. We take our breeding program very seriously and are always striving to produce the best. 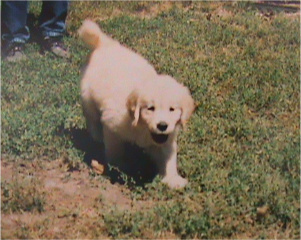 Again, Thank You for your interest in our Golden Retrievers.